Thank you Jana! I am so honored that you included me in your list of nominees. I am the last surviving person of my immediate family. I was given the middle name of “Jane”. It is a family tradition on my mother’s side to give this name to one daughter. The tradition goes back to my 3x Great Grandmother. As a result I named my daughter Jerusha Jane! My paternal Grandfather, Charley Hughes was born in 1867, 147 years ago! I was born in Lexington Missouri and my parents moved us to Tucson Arizona when I was 11 months old. I have lived in 7 different States throughout my lifetime but I always end up back in Arizona. I have had many jobs throughout my life but the one I enjoyed the most was counseling women. In school I played the clarinet but when I turned 30 I learned to play the drums and have played in a music group and for worship services in several churches. I have 3 grown children and 9 grandchildren. They are the reason I became a Genealogist. This is a hard one. There are too many awesome blogs out there that it is difficult to choose only 15. I will be contacting the fifteen bloggers on my list, unless they see this post and contact me first. Thank you so much for the nomination!! I am very honored to be in such great company. My first award!! Thank you for this nomination Valerie, I am very grateful, like Beverly pointed out, to be so well surrounded! Thanks for the nomination! I loved reading your “7 things”, and I’ve been introduced to a few new blogs! You are welcome. I enjoy your Blog very much! Thank you for the nomination. 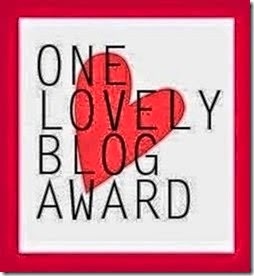 I am honored, humbled and grateful to be included with so many wonderful bloggers. Thank you for introducing me to them! I enjoyed learning seven things about you. I also enjoy reading your blog. You are welcome. This is a great way to find new bloggers and to know that you are appreciated for your own blog!